Technics Tracks review | What Hi-Fi? It has been over a year now since Technics made its surprise comeback announcement at IFA 2014, unveiling new ranges and products that sent audiophile nostalgia into overdrive. This news has since been followed by the arrival of a new Technics SL-1210 turntable, which has also got plenty of people hot under the collar - even if it will cost around $4000. 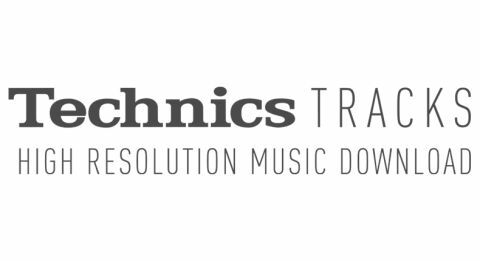 What, perhaps, missed many headlines was the development of Technics Tracks, a hi-res music download service pulled together in partnership with 7digital. But if you were thinking Technics Tracks is little more than a rebadged version of 7digital, you’d be wrong. Though it may well share the same back end (if you download tracks via 7digital, they’ll show up in your Technics account too), it has been custom built for Technics with a completely different look and feel. More importantly, it has an exclusively hi-res focus. Similarly to Technics’ new product line-up, the design of Technics Tracks is clean and minimalist, with a monochrome colour palette and flashes of yellow. It’s as easy to use and navigate as 7digital, and has a similarly wide music focus. Stripping out MP3-only albums (Technics Tracks only features music of CD quality and above) means there is a slightly more audiophile focus. For example, on the homepage you’ll see classical and blues/jazz highlights – something you’re unlikely to find on 7digital itself. You’ll still see hi-res albums from the likes of Olly Murs, One Direction and Little Mix next to those from David Bowie, ELO and Enya in the new releases section, and Adele’s album is getting pushed alongside Roger Waters’ The Wall. It’s a balancing act and Technics has got it just right. Next to the search bar at the top of the page, there is a small button named ‘Explore’. Click this and you’ll get a drop-down menu with a few more options for delving deeper into the Technics Tracks catalogue, including genres, a top albums list and a curated page called Technics Selections - a selection of lists for everything from ‘90s hip hop’ to ‘best ever samples’, alongside lists for ‘best of’ and artist spotlights. Hi-res files are available in FLAC from 24-bit/44.1kHz up to 24-bit/192kHz, and have a “Hi-Res” badge on their thumbnail artwork to help differentiate them from CD-quality options. However, there is no way to filter your selection by resolution, which is a shame. We also notice that, with a handful of albums, it’s worth doing a manual search to check for all available options. Justin Bieber’s Purpose and Grimes’ Art Angels, for example, appear on the homepage as CD-quality only, but a manual search pulled up 24-bit versions hiding deeper in the catalogue. Still, with a reported 'tens of thousands' of 24-bit/192kHz tracks, and 'hundreds of thousands' of 24-bit tracks, there is bound to be the odd oversight. More editorial content is included in the shape of Technics Spotlights, which offers a ‘series of films to bring you closer to the artists’, featuring free-to-view videos from artists talking about their influences and inspiration, alongside artist biographies and suggested albums. Getting back to paid content, and unsurprisingly, Technics Tracks matches 7digital for pricing, meaning it’s reasonably competitive. A lot of albums sit between £13 and £19, while individual tracks available to download for a couple of pounds each. We download the excellent Black Messiah by D’Angelo and the Vanguard, Elvis Costello’s Man Out of Time and Kendrick Lamar’s King Kunta and find tracks to be filled with the same full-bodied enthusiasm, focus and rhythmic drive that 7digital has. The soulful introduction to D’Angelo’s Sugah Daddy is perfectly timed, with handclaps, piano chords and drums intertwining together with toe-tapping precision. Vocals are expressive and overall clarity is superb. While Technics Tracks and 7digital may essentially be the same service, we have hand it to 7digital for creating an experience that feels fresh. With Technics Tracks, you get all the benefits of the 7digital catalogue with a more hi-fi focus, and that makes for a superb user experience indeed.